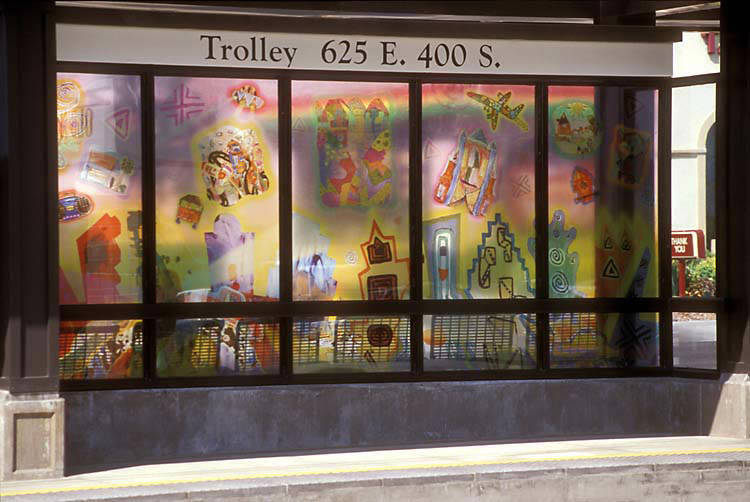 The neighborhood is at the foundation of the artwork integrated into all elements of the Trolley Station. The artists used ideas and images generated from a series of workshops they conducted with Central City youths and seniors. 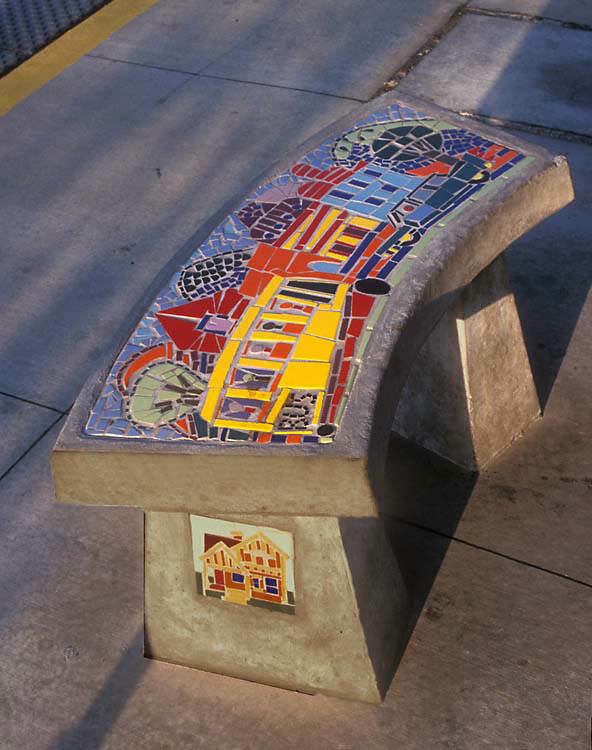 They were translated into mosaics, granite pavers, glass art and more. The Central City community is rich in history and the art workshops provided the opportunity for residents to share that history – and their dreams for the future – and see them transformed into permanent and colorful works of art.